Trip to the majestic Seville, capital of Andalusia. 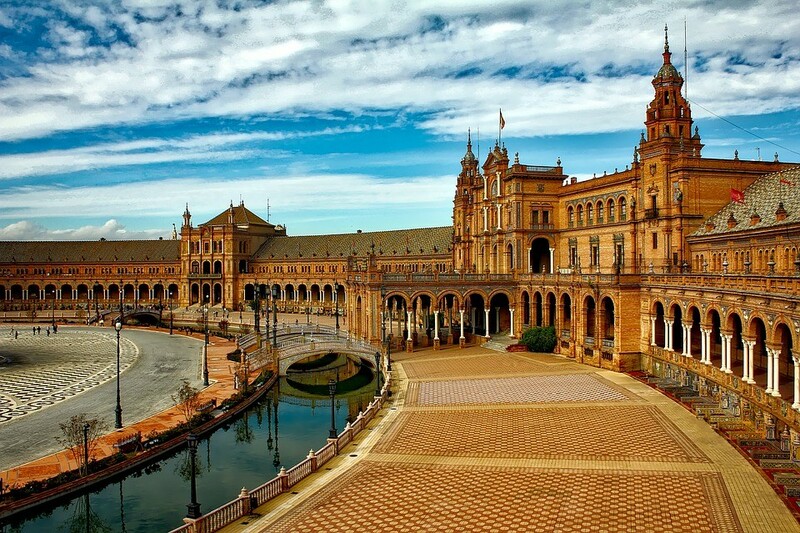 Enjoy a day-trip to the city of Seville, capital of Andalusia. We'll drive you while you enjoy the views of Andalusian landscapes, where of olive trees and sunflowers fields abound. Once there we'll get to know the local gastronomy as well as the city with a guided walking tour (8 people max) through the streets of one of the most important cities of Spain. The trip starts in Cádiz, from where we'll set off towards Seville on a pleasant drive to discover its streets, lifestyle and gastronomy. We'll visit the most emblematic sites of the city such as Plaza de España, Murillo gardens, the Jewish quarter (Santa Cruz), the Giralda and the Cathedral in a two hour walk, as we indulge in the ever-shinning sun of this beautiful city. After the guided visit we'll have some spare time to taste the local gastronomy, accompanied by a refreshing beer or one of the region's famous "vino fino" in the best restaurants. We'll enter the Alcázar without queuing, the oldest Royal Palace still in use in Europe, to enjoy its astonishing architecture and the mixture of styles so common in the region through one of the most beautiful gardens of the city. After a day in this captivating city we'll head back to Cádiz to cross its promenade with some of the best panoramic views of the city before dropping you by your hotel.